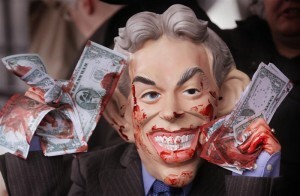 Browse: Home / A stench surrounds the Iraq Inquiry: is there a conspiracy to protect Tony Blair? Almost four years have passed since Sir John Chilcot called a press conference to launch his inquiry into Britain’s role in the Iraq War. He grimly acknowledged that “there have been inquiries which have taken very long periods of time: they are being held on a quite different basis from ours”. Sir John insisted that he was “determined to avoid… a long, drawn-out inquiry”. His would all be over within “a year and a half, maybe a bit more” – in other words, by the summer of 2011. Sad to report, Sir John’s inquiry was (apparently) still at work in the summer of 2011. Then 2012 came and went. Earlier this year, there was a buzz around Whitehall that Sir John was due to announce his findings this summer, but this hope has also vanished. Eyes are now starting to turn, in the words of one senior figure very close to the inquiry, towards “the end of this year and maybe 2014”. Comparisons are being made privately to the Saville Inquiry into Bloody Sunday, which was published an unfeasible 12 years after being commissioned, and an outrageous 38 years after the events it investigated. Furthermore, just the faintest stench is starting to surround Sir John’s inquiry: there is talk of documents being withheld, perhaps because too many senior reputations are at stake. Until now, these worries have not been publicly articulated. This has now changed. David Owen, the former foreign secretary, who has followed the Iraq invasion and its consequences carefully from the start, last weekend made a series of extraordinary, and indeed devastating, allegations. Many people will be eager to dismiss Lord Owen’s allegation, and no wonder. He is in effect asserting that there is an active conspiracy between past and present prime minister to hide the truth about Iraq. It sounds absurd. Nevertheless, Lord Owen’s comments deserve to be taken seriously, and not simply because he is a former foreign secretary and privy counsellor who knows the issues – and many of those involved – extremely well. For example, he is right to draw attention to the political closeness between Tony Blair and the current Prime Minister. It is true that Tory strategists have long worked on detaching Tony Blair from Ed Miliband, just as Blair in his day successfully encouraged Margaret Thatcher to turn on John Major. Indeed, the Blair business empire, which has made millions giving very profitable advice to Middle Eastern and African dictators, could not exist for a second without the implicit consent of the Foreign Office. But now for the core of Lord Owen’s accusation. It is not ridiculous for the ex-foreign secretary to claim that sinister forces may have been at work when it comes to Chilcot. Certainly, something went very wrong with each of the first four inquiries into the Iraq War. For example, the report by the foreign affairs committee in 2003 was almost completely worthless, because it was effectively controlled by the government whips office. The following year, as we have recently learnt, vital facts were withheld from the Butler Inquiry, of which Sir John was a member. None of this comes as a surprise, for very powerful interests are at stake. If Chilcot were to conclude that Tony Blair lied over Iraq (and many well-placed people are convinced he did) it would be a first-order catastrophe for the former prime minister. He would be disgraced, just as Anthony Eden was after it emerged that he had lied to Parliament over the invasion of Suez in 1956. His political life would be over and his reputation destroyed. It is not merely that he would be unable to return to British politics. He would also be forced to abandon all ambitions on the international stage, such as his professed desire to become European Union president. The central allegation against Mr Blair is that he gave a private assurance in early 2002 to President Bush that Britain would join the United States in an invasion of Iraq. Thereafter, it is said, all was decided. Even though Mr Blair later highlighted Saddam Hussein’s alleged weapons of mass destruction, and misrepresented what he was being told by the intelligence services to the House of Commons, it was of little significance to him, because the die had been cast anyhow. Hence the central importance of access to those conversations. They are likely to cast much-needed light on whether or not the allegations that the prime minister struck a private deal with the president are true. Yet, amazingly, the Chilcot Inquiry’s website states that it has “not yet” even “begun its dialogue” with government over the treatment of these Blair/Bush conversations. Four years ago, when still in opposition, David Cameron claimed that Chilcot was part of an “establishment stitch-up”. Now he has changed his mind. He suggests instead that it wasn’t needed in the first place. “I would want to reassure people and say the lessons of Iraq have been learned,” he told the BBC last month, when asked whether intelligence concerning the use of chemical weapons in Syria could be trusted. But this is not reassuring at all: it was the job of Sir John Chilcot to learn the lessons of the Iraq fiasco, and his report is now three years overdue. Sir John’s failure to deliver on time is part of what is becoming a Whitehall pattern. The Gibson Inquiry into powerful allegations that Britain was involved in extraordinary rendition and torture, also supported by the prime minister in opposition, has been abandoned. We ought to have enough confidence in our magnificent values to be able to cast daylight on our national errors, crimes and misfortunes. Yet, as the experience of Gibson, Chilcot and Hillsborough suggests, the culture of secrecy seems always to prevail.